The National Society of Pershing Angels was established to encourage, preserve, and develop the highest ideals of womanhood, promote American citizenship, create a closer and more cooperative relationship with the Military Science Department, and to provide appropriate recognition of a high degree of drill ability. 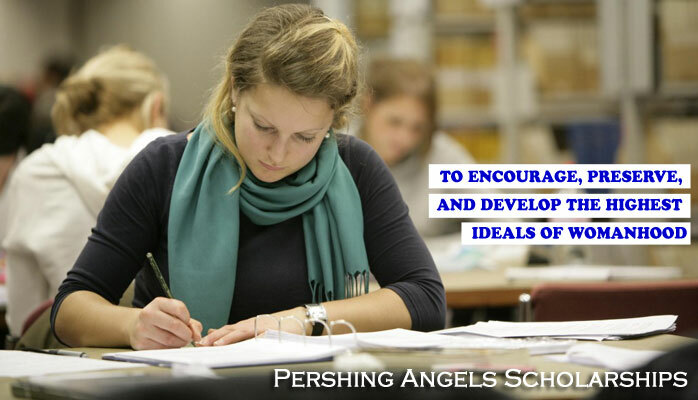 In keeping with our mission, we established “Angels Scholars” and the “Pershing Angels Sorority Scholarship”. These merit-based academic scholarships honor those who both work hard to achieve academic success and serve their NSPA Units. Application deadlines are 31 October and 1 March. Download the NSPA Scholarship Guide to apply today. What are five traits that a good leader must have and why are these traits important.